Practice the art of being – unbalanced this Summer! Balance is a word used as the holy grail of peaceful, happy survival in an information laden and hectic life. But what if the true quest is not balance, but the ability to flow in and out of balance with a calm mind – the art of being unbalanced. In a yoga balance pose this is exactly what we practice, we find balance and loose it, find it and loose it. In the effort of balancing the body, we practice commitment to keep trying, patience and trust that we can find balance again. We even find humility when we think we have it, pride kicks in and we suddenly realize, oops no not quite as we waiver out of the pose. Over time through this practice of balancing we learn to react less when we fall out of balance, watch our self talk and maybe add a dash of humor. We also learn how to hold the pose a little bit longer and return to balance more quickly. Our meditation practice brings the same lessons as we work with the mind to stay present but invariably slip to the future or past and then practice bring ourselves present again. In these practices of correcting our minds’ behavior we can find the ability to contentedly flow into and out of balance many times throughout the day and learn to enjoy, or at least pass through, more quickly – our wobbly moments. The Summer can be a good time to add some practice into your day. The daylight gives us a notion of more time so practicing our balance now might change how you flow into the Fall. 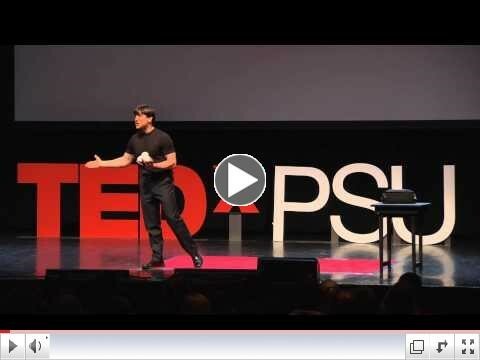 Enjoy this Ted talk on living an unbalanced life.